My name is Lara Christine, thank you for visiting my website. I am a hair and makeup artist, my roots are in Manchester, NH but I am eager and always willing to travel for gigs. 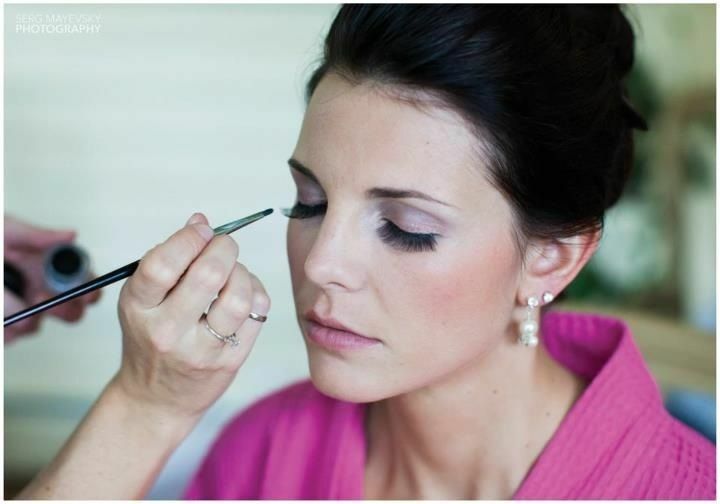 I have been creating beautiful hair and makeup for weddings, photo shoots, and events since 2006. My background in photography was what led me to my career as a hair and makeup artist. I have 3 years of photography school under my belt and I am a 1999 graduate of The New Hampshire Institute of Art. I worked for 6 years as a freelance photo assistant in the Boston area. After working as a lead assistant for a fashion photographer and entering the world of photo shoots I became very interested in the hair and makeup aspect of it all. I am currently a booth renter at Keith Paul Salon in Manchester, NH. I very much enjoy the day to day salon work as well as the busy wedding season and occasional photo shoot jobs! If you would like to read my reviews please look my business up on www.weddingwire.com under "Lara Christine". I also have a direct link to weddingwire under the "Info" tab.